The winners of a travel innovation competition will use their winnings to fund a start-up. 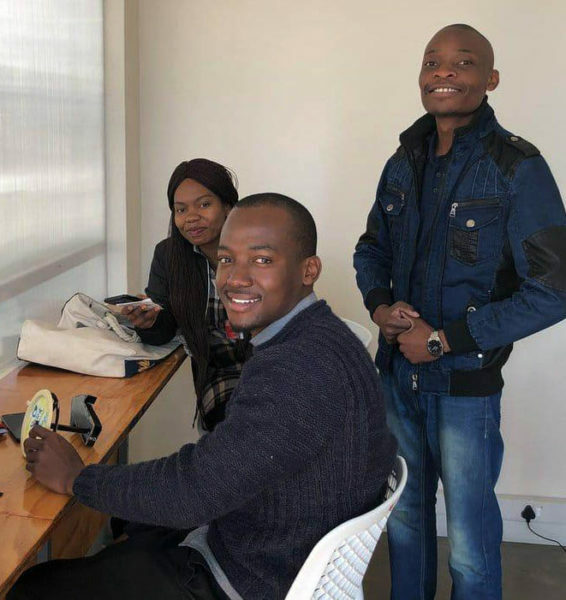 Three Wits University students have won a cash prize of $10,000 (around R134 000) in a travel innovation competition by focusing on elderly travellers. Winners of the SITA Travel Innovation competition, from left, Fiona Ndlovu, Tso Mello and Jules Ntumba. Photo: Provided. Jules Ntumba, Tso Mello and Fiona Ndlovu, all final year Aeronautical Engineering students, were one of seven teams who were shortlisted in the SITA Travel Innovation competition which required entrants to submit a two-minute video answering the question: “What information, tools or technology will first-time air travellers in Africa need to make their journeys easy, successful and enjoyable?”. The team designed a physical structure that provides directions, seating and sockets for the charging of electronic devices. “Old people are not acquainted with technology like young people are,” Ntumba said in explaining the motivation behind the concept. Ntumba, originally from the Democratic Republic of Congo (DRC), said the team intend to use some of their winnings to fund a start-up aimed at providing unique solutions to common African problems through innovation. “We love inventing. We love coming up with things that people have never seen,” he added.